If you just realized that your car keys are missing, you may be going into a panic. It is understandable if you are worried about how you will get out of this situation. But the good news is that you have found the best place to get help. Our on-site key replacement service will ensure that you are back in your Isuzu, driving to your destination, within hours. Whether you need a key made for an older Isuzu, or you require a transponder key for a new model, we can help you get back on the road. And our mobile service means that we will come to you. When you use Door N Key Locksmith for key replacement, you are getting the best. We have mobile vans that are fully loaded with all the equipment needed to create replacement keys. 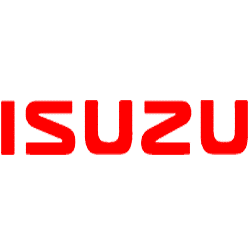 If you have an Isuzu, it does not matter whether it is a newer or older model, we can get a replacement key made for you. And we can do all this at your location, which means you do not even need to move! Just give us a call, explain your situation and your car model, and allow us to take care of everything else!